Gravity. It’s what keeps us on the ground. 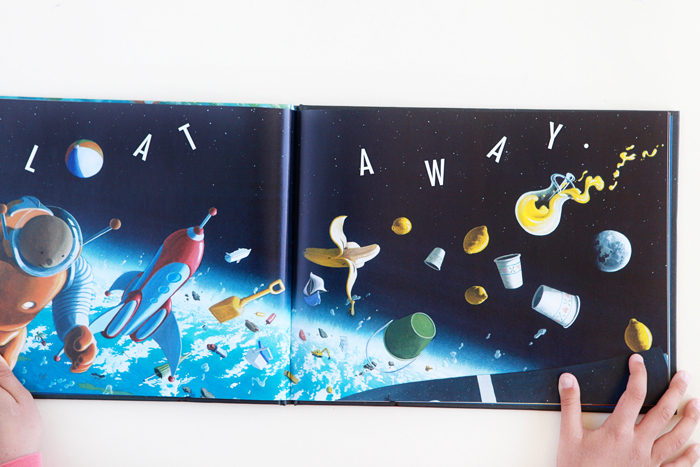 Gravity is a whimsical and fantastically illustrated book by Jason Chin that makes the mysterious force of gravity accessible to children. There’s a great explanation about how gravity works at the back of the book that parents can read and discuss with their young scientists. Hear Jason Chin speak about the process he went through creating this book on Politics & Prose.